After twenty years of not being able to decide whether he was a business development guy or a personal growth teacher, Jonathan stopped trying to figure it out. He is the owner of Refound, a leadership training company that helps leaders and managers to start and manage meaningful conversations with their colleagues. He’s madly in love with his wife, tries not to spoil his daughters, and will never give up on the New York Knicks. 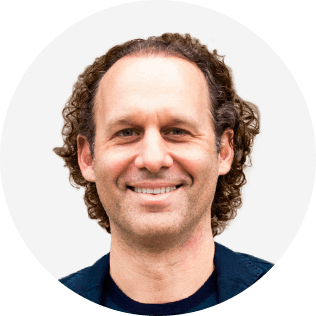 Jonathan is a former CEO and Chief Brand Officer and has thrown his heart, mind, and soul into more than a few culture change projects. He has worked in tech, clean tech, and the nonprofit world after graduating law school in 1998. While leading a team of people was never easy, the challenges the modern leader faces are extraordinary. Gone are the days of the supervisor whose job is to oversee work and focus on tracking deadlines and deliverables. Now, the modern leader is tasked with cultivating the talents of others, without skipping a beat on their own individual contributions, all while tracking the micro-metrics, updates and notifications that come with the territory. The modern leader is burned out, overwhelmed, and, most importantly, left without the mental space and emotional resources to do the highest value strategic and creative work that we is our passion. In this personal and practical session, Jonathan will offer us a new way forward,. Drawing on his personal journey as a CEO and people manager, as well as the work he does today with people managers in high-growth organizations, he’ll share the fundamentals of what he calls Good Authority, a way to think about leading people that’s based in fostering the personal growth and individual accountability of each member of the team. 1. How to redefine accountability for your team to create a positive common language around personal growth. 2. How to let go of obsolete ideas and conditioning around authority that prevents us from showing up as the boss with our best self. 3. How to use the Accountability Dial to structure your feedback conversations in small increments that lead to critical thinking instead of defensiveness and excuses.